I found a great giveaway today! Justin and I have been wanting to go on a cruise, but since our vacations only consist of traveling to see our families... we haven't been on one yet. We both love the water. I prefer pool water, but love the ocean. I think Justin prefers the lake.. we just got back from the lake and I am going to post some pictures next week. Anyway... I came across this amazing giveaway. I have never wanted to win anything so much...except of course for the HGTV Dream House or the lottery (which I don't play). Since I haven't posted a Freebie Friday in a while, I thought I would post this. Norwegian Cruise Lines is doing a giveaway for a free cruise. 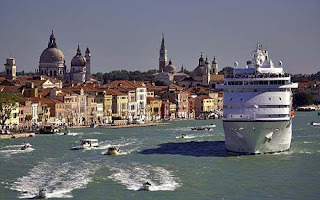 I would love to do a Mediterranean cruise one day.. one can dream anyway. Good Luck and have a great weekend! !